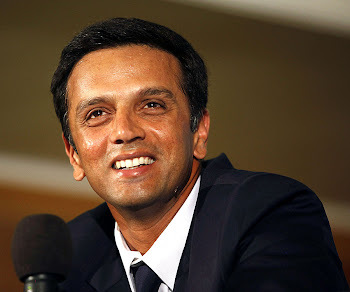 All the hopes of seeing Rahul Dravid playing for his team in WC 2011 have been shattered as selectors have excluded him from probable 30 players list. It does not come as a shocker though. He was not in the ODI frame for almost 2 years. And given the performance of the youngsters like Raina and Kohli, the selectors never felt the need of bringing The Wall back to the ODI squad. Above all, the fact that the WC will be played in the subcontinent remains the prime reason behind dropping Dravid and handing an opportuinity to the youngsters. Anyways, let's wish all the very best for Team India and hope that they do not dissapoint the home crowd. He was unfairly dropped. Let's look at the positive: Skipping ODIs will boost his fitness (India plays too much of one-day cricket) and extend his test career. I hope he plays more and more test matches in future.